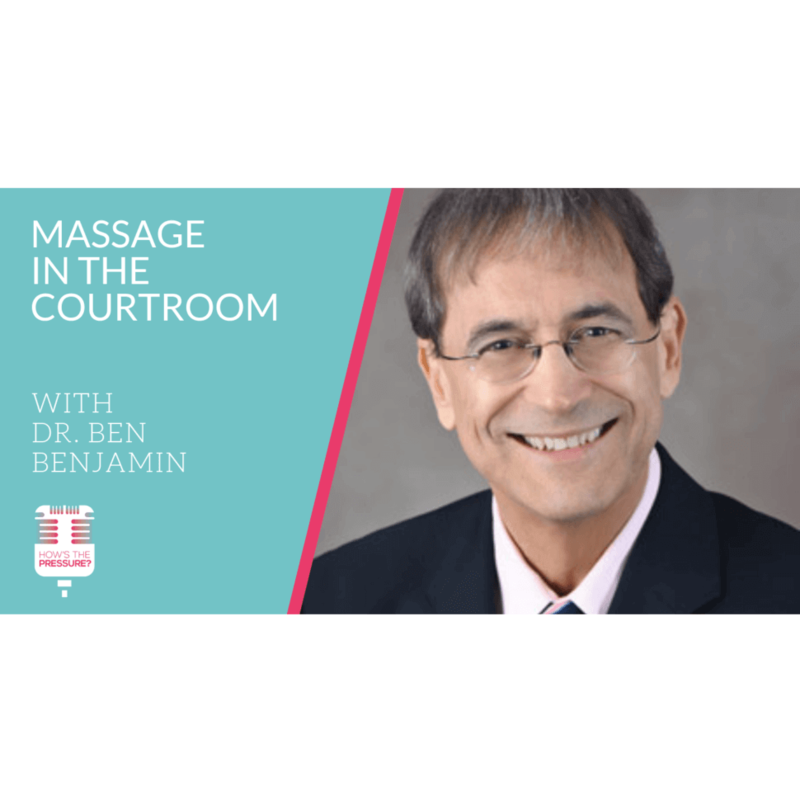 This week I am bringing in Dr. Ben Benjamin to talk about being an expert witness in massage court cases. I have been curious about how massage therapists and massage businesses get sued and why for a long time now and when I think about it there is always a twinge of fear. I think mostly that fear comes from not knowing how often it actually happens, and worrying that because I am not completely informed on the topic, that I am more at risk. Anyway, for those of you who know me, if I have fear or anxiety around a subject then it won’t be too long before I find a way to have a public conversation about it. So here we are, and I thought it would be good to bring in Ben to talk about the topic because he has extensive experience in the massage room, the classroom, and the courtroom. Ben has been in the field for over 3 decades now. He regularly called upon to be an expert witness for massage legal cases, and I have been searching for quite some time to find someone in his position to interview about this subject. I am grateful for his honesty and forthcoming nature, as I have had several individuals tell me that they don’t want to be on the record for this subject matter. So I really appreciated his candor, and it helps me remember that it takes some resolve and a degree of risk to be willing to put your opinions out into the public sphere.